AMC’s The Walking Dead has become one of television’s most iconic horror shows. Season 7 started with one of the most shocking episodes to date. With Season 7’s home release this past Tuesday, we decided to create a recipe based on one of the most iconic items in the show. 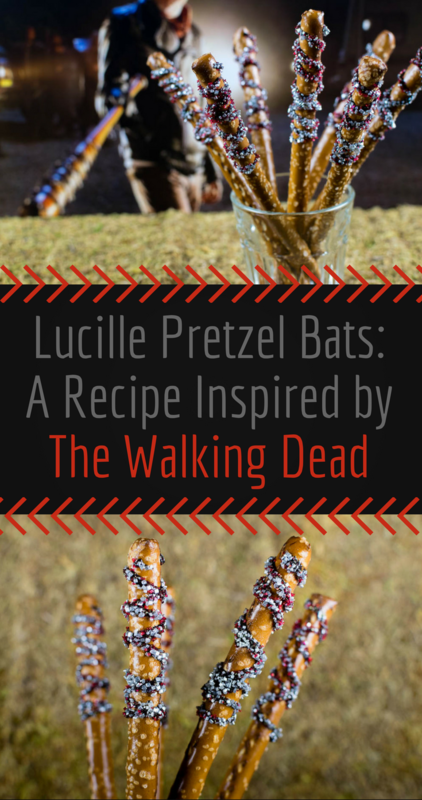 That’s right, we created our recipe for Lucille Pretzel Bats based on Lucille, Negan’s terrifying bat! When coming up with the idea for our Lucille Pretzel Bats we explored a couple options. We even considered breadsticks! However pretzels turned out to be the closest looking and easiest to work with. We really want to give you, the readers, a recipe that looks fantastic without a ton of work. We found that black icing looks the most striking but you could also use melted dark chocolate. 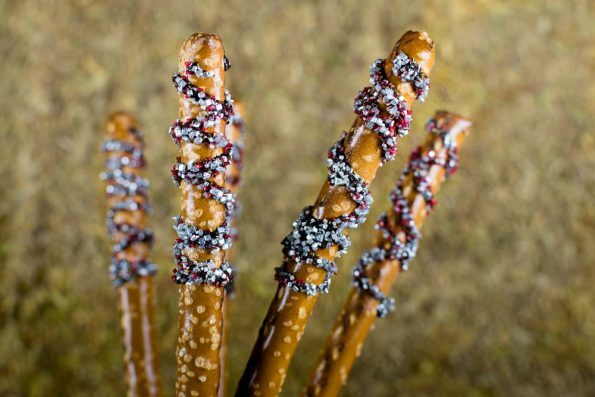 We hope you love our recipe for Lucille Pretzel Bats! As we mentioned, we are really starting to gear up for Halloween! That means we want to know what movies you want to see recipes for! Leave a comment below or tag us on social media using the #GeekEats hash tag! We can’t wait to hear your ideas! 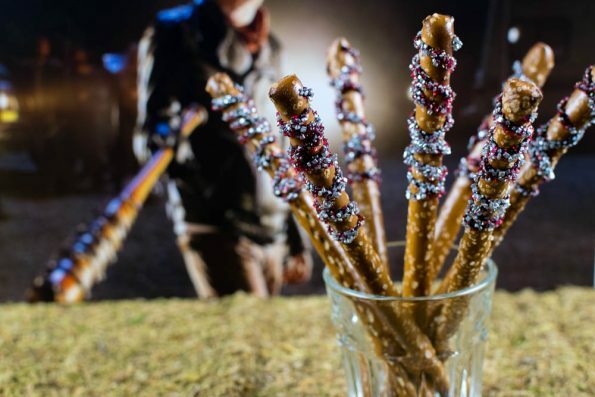 Using the black icing, create the base for your barbed wire by drizzling icing around the pretzel rod. Coat liberally with silver sugar crystals. Follow up with the red sugar crystals. Repeat until you reach your desired amount.